Religious people figure that anything they say or post is oh so awe inspiring and valuable to everyone, as long as it say’s “Jesus,” “God,” or “Bible” in it. With this arrogance they post some of the weakest, lamest, least inspiring stuff on the internet. I have seen some awful singing, but since the girl said Jesus somewhere in there, it was posted with “Yeah, that’s what I’m talking about!” and it was painful to the ears. 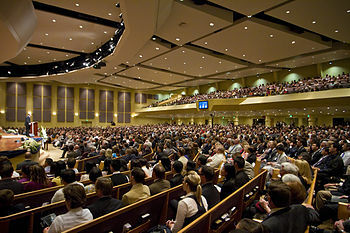 There’s lots of postings of church performances that reduce the Christian life to a third rate stage show. They post framed sayings or bible verses saying “Jesus died for you” and ask you to click “like,” never mind that normally “liking” that someone died is bizarre and questionable. Even worse is the call to pray for someone’s something that’s not gonna happen with a big guilt trip in it if you don’t participate, similar to the old chain letter thing. They never post “yesterday, we got 1,000 people to click like on this prayer to cure Mike’s cancer and today he is verifiably healed.” How about the command “If you love Jesus you’ll post this within 5 seconds for an hour and get a blessing.” Oops it took 8 seconds, oh well, you blew it. What would Jesus really do? Would he be posting this mindless self indulgent crap? Do you really think it’s making him happy that you trivialize his teachings (you do) and display a lack holy spirit insight and widom? Please Stop! It’s not “saving” anyone. It’s insulting to the true spirit of transformation, and even to average intelligence. Share an applicable life insight, without presumption, which itself is a sin. Demonstrate some depth, or results of deep study and contemplation, that everyone can appreciate. You are entitled to live out your devotion in a closed relationship to your diety. Pray, read, convince yourself you believe something, light candles or incense, that’s cool. You are entitled to self deception. You are not entitled to force others to live out your same devotion, or self deception, or to live hypocritically. That merits opposition and confrontation. When challenged on proof of your claims by atheists and non believers, put up or shut up. Say you don’t know and are studying up on it, or admit it doesn’t work and there might be better options. Don’t think that hooping and hollering, bible waving, jumping up and down and calling us angry, changes the fact that simple god given rationality disproves your arguments. “…What does the LORD require of you? To act justly and to love mercy and to walk humbly with your God.” It’s there, look it up. Try walking humbly with your god, instead of the arrogant pettiness you put out all the time. We’ll all be better off for it. Amen? Some devout fundamentalist friends and I were having dinner together, and the young man was speaking about going to college, and how he’d handle the challenges he expected to face, including jocks and BMOC’s (Big Man On Campus). His father, a serious believer for whom “Lean not on your own understanding and trust in the Lord” & “I can do all things through Christ who strengthens me” are widely pervading principals, jumped to make sure that the young man was not believing in anything less or secondary to that. Is wanting to learn and practice self defense incompatible with religion, or belief in a supernatural entity (Jehova, Christ, Vishnu, etc), and how explicit in the various religions scriptures are the injunctions against it? As to explicit and singular injunctions, none. The Bible, just to use the most common denominator; is loaded with contradictory statements. So much so that I hear there are 30,000 “christian” denominations worldwide, most basing their doctrines on scriptures that other denominations contradict. In this context “no weapon that is formed against you shall prosper” is offset by “He trains my hands for battle, So that my arms can bend a bow of bronze,” “Turn the other cheek” is contradicted by “buy a sword,” which is offset by “he who lives by the sword will die by the sword,” and on and on. 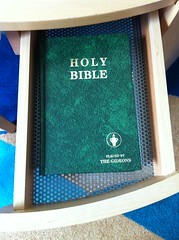 A quick search will often place promises of protection scriptures alongside instructions to protect yourself. The weight then becomes about which scriptures you have more faith in, the protection promises, or the active in your defense ones. Put another way, of believing god will defend you, or he doesn’t mind you protecting yourself. Sadly, we often see that belief is not enough. Historically, there are numerous examples of death and harm by violence, in spite of belief. Recently and explicitly, there is the episode of the Columbine shooting. There is some argument about the truth of this rumor, but that it arose immediately after the incident among those involved makes it worth noting anyway. 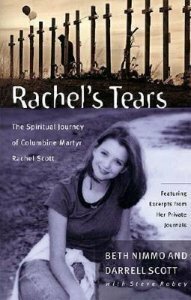 It’s the rumor related to the murder of Rachel Scott that claimed that the shooters had first asked Scott if she believed in God, and killed her after she said yes. It’s a saddening thought to even reference. It continues to ask the question, is belief or faith in the supernatural enough to protect you from violence, or should you act on your own behalf. Further realize some will call it you attempting to use your own strength and knowledge an act of faithlessness. Some religions forbid blood transfusions, and people have died, who might have otherwise survived, recovered, and lived full lives. Children have died because parents believed only prayer and fasting should be used to bring god’s healing. I believe in some things, and not others. I have no conflict with the potential for supernatural occurrences, like divine protection, and welcome it, as would anyone else, believer or non believer. But if it doesn’t deliver 99 percent of the time for say at least 80 percent of the people, to “believe” in it at a time of duress is recklessness, not faith. I hope that the young man at the beginning of this story never gets bullied or unjustly beat up. I hope he goes through life without any conflict ever, and that his upbringing of faith in god mocks my perception of supernatural protection for believers or anyone else. I teach martial arts and self defense. I believe that everyone should have basic knowledge of personal protection methodologies, whether you are a believer in any religion/god, or not. PS. All scripture references are off the top of my head, I’m pretty sure they are there, in about the same wording, feel free to use a conrcordance to verify if you like.